Chief Justice John Roberts Jr. of the Supreme Court, who heard oral arguments regarding the Fisher v. University of Texas case this past Wednesday, wants to know how much diversity is enough and when will colleges achieve an acceptable level of diversity without using race as a preference in admission. 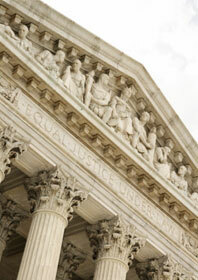 These two questions are pressing issues in the Supreme Court decision, Fisher v. University of Texas, an ongoing affirmative-action case that was recently brought to the Supreme Court. The state of Texas enacted the Top 10% Law, which made it so that every Texas state university had to admit a student who finished in the top 10% in a Texas high school. This law was put into place after 1996 when a judge disagreed with an admission policy that used race as a factor. This policy is still in effect today and it accounts for the majority of student admission in Texas state universities and plays a large role in the school’s diversity plans. In a New York Times article this past Wednesday, it was said that Chief Justice Roberts asked the lawyers in the room (both from the University of Texas and the federal government) many questions that were not answered. He asked, “What is the critical mass of African-Americans and Hispanics at the university that you are working toward?” Chief Justice Roberts just wanted a percentage and these lawyers couldn’t give that to him. Due to the lawyers’ unwillingness to directly answer this question and to give the chief justice a percentage goal that they hoped to work towards, the court was left with not much to do regarding the court’s precedents requiring judges to look more closely when the government draws differences among people based on race. At the end of the argument this past Wednesday, it was clear that the more conservative wing of the Supreme Court justices (which includes four members) wanted to act immediately to revise the 2003 Grutter Supreme Court decision to consider race in public university admission, according to an article in The New York Times. However, the more liberal wing of the Supreme Court justices (which includes five members) said that there is no evidence or reason to throw away or amend the Grutter decision. Since Justice Elena Kagan disqualified herself from the Fisher v. University of Texas case, this leaves room for a possible 4-4 tie and would mean that they would use a lower-court decision for deciding the outcome of this case. College diversity can play a large part in the college admissions process, but when is the line drawn and how can universities ensure that all students are receiving a fair chance at admission? Sarah Anolik is a junior at Boston University, studying in the College of Communication. She is majoring in magazine journalism, minoring in psychology, and aspires to write for a magazine or newspaper someday (more specifically, ELLE magazine in New York City!). She was born and raised in Rochester, New York, but is a true Boston sports fan! Sarah is involved in BU’s school newspaper, The Daily Free Press, as a staff photographer. Additionally, she was elected to be her Greek organization’s Historian, the appointed photographer. Aside from photography, Sarah enjoys writing, shopping, and exercising.